Scottie Pippen, who is perhaps the ultimate sidekick in modern sports history, is getting inducted into the Naismith Memorial Basketball Hall of Fame on Friday. The induction of Michael Jordan's right-hand man got us thinking about the best No. 2 people in the history of sports and pop culture, so we've compiled the top 20. Before you go scrolling down to the bottom of the page, please take a moment to consider the requirements of a good No. 2. The person should complement a transcendent talent (like John Stockton did for Karl Malone) and not merely be the second-best player in a two-person juggernaut. In other words, Lou Gehrig is not Babe Ruth's sidekick; and David Ortiz didn't play second fiddle to Manny Ramirez during the Red Sox's title years. Those guys were co-stars -- like "Starsky & Hutch" or Randy Johnson and Curt Schilling on the 2001 Diamondbacks. Conversely, Pippen was always Kato to Jordan's Green Hornet. Tonto to his Lone Ranger. Abigail to his John Adams. But where does he rank on the all-time list of sidekicks? Let's take a look. Michael Heiman/Getty Images Alex Rodriguez has the larger paycheck, but he resides in the celebrity shadow of teammate Derek Jeter in New York City. Admit it, the Rolling Stones would be 99 percent less cool if Keith Richards were capable of being killed by conventional weapons. Luckily, he's survived five decades of debauchery as the lead guitarist of a rock band that is often lampooned for its unwillingness to go away. If Richards had moved on to something else a long time ago -- politics, the grave -- interest in Mick Jagger and the Stones would have plummeted. A-Rod had himself quite a postseason in 2009, which was supposed to quiet critics who said he couldn't be the man and bring a title to New York. But come on, this was after the Yankees spent $468 million on CC Sabathia, A.J. Burnett and Mark Teixeira. So, yeah, great postseason, A-Rod; it doesn't change the fact that you'll never be as beloved in New York as Derek Jeter, who plays your original position (shortstop) and has been linked to faces such as this and this and this -- but not faces like these. No, not John Taylor from Duran Duran who your sister liked to kiss in the pages of "Tiger Beat." We're talking about the underrated San Francisco wide receiver who lined up opposite Jerry Rice on the great 49ers teams of the late '80s and early '90s. Taylor, who caught the Super Bowl-winning touchdown against the Bengals as a second-year spot starter in January 1989, never had more catches, yards or touchdowns than Rice in any one season with San Francisco, so there was never a question who was the No. 1 receiver. But Taylor made the Pro Bowl opposite Rice in 1989 and twice accumulated more than 1,000 receiving yards on teams that ultimately won three Super Bowls. In "Talladega Nights: The Ballad of Ricky Bobby," Will Ferrell is one half of the "Shake and Bake!" racing duo. He always finishes first, while his best friend and teammate, John C. Reilly (Naughton), is the loyal wingman who's content to finish second. But when Ricky Robby experiences a terrible crash -- "Tom Cruise, use your witchcraft to get the fire off me!" -- and loses his nerve to drive, his spoiled wife dumps him and takes up with Cal. Later, when the world is made right again, Ricky Bobby and his old No. 2 reunite. This time, however, they will not be known as Shake and Bake. Instead they will be called Magic Man and El Diablo -- which, according to Ricky Bobby, means "Spanish for like a fighting chicken." Bobby Cox's former pitching coach got more October camera time during the Braves' record-setting streak of 15 consecutive postseason appearances than many presidential candidates. "Hey, look, it's Leo Mazzone, chewing his gum and rocking back and forth like Rain Man." Did Joe Buck ever say that? He should have. When we think of Cox, we invariably think of Mazzone (and the Braves' inability to win more than one World Series during their time together). How many guys can say they filled in for an injured Hall of Fame quarterback to lead a team to the Super Bowl? Well, Earl Morrall did it three times, arguably making him the greatest backup signal-caller in NFL history. In 1968, the Colts lost Johnny Unitas in the team's last preseason game, and it was Morrall -- the eventual Associated Press NFL MVP -- who led them to a 13-1 record and the role of heavy favorite against the Jets in Super Bowl III. The Colts, you may have heard, lost that game. Two years later, Morrall again replaced an injured Unitas (this time during the Super Bowl), and the Colts beat the Cowboys 16-13 on Jim O'Brien's winning field goal. Then, as a member of the Dolphins in 1972, Morrall replaced an injured Bob Griese and started 12 of the 17 games for the Super Bowl era's lone undefeated team. If Morrall is still available in the last round of your fantasy draft, you might want to grab him for insurance purposes. 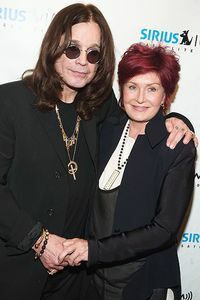 AP Photo/Charles Sykes It's safe to say Ozzy Osbourne wouldn't be alive and financially secure today without wife Sharon. Some readers might take issue with the absence of female athletes on this list, but the fact is the best female athletes (or, at the very least, the best-known) play individual sports such as tennis and golf. Sorry, there's no Batman and Robin in the WNBA, World Cup soccer or softball. Sure, you can say Serena and Venus Williams have been one of the best doubles teams in the history of women's tennis, but is one of them decidedly better than the other? Does one defer to the other at crunch time? Anyone who watched the Osbourne family's reality show recognizes that Ozzy probably wouldn't have survived this long without his tolerant, street-smart wife. When she came into his life in the early 1980s, he'd been kicked out of Black Sabbath and was feeling sorry for himself. She got Ozzy to stop eating leftover pizza and pull it together, helping turn him into an ultra-successful solo act with her bare-knuckle business smarts. Where would sportswriter Raoul Duke have been without his trusted attorney in Hunter S. Thompson's classic tale "Fear and Loathing in Las Vegas"? Would he have been safe, sound and sober, covering the Mint 400 in conventional terms? Probably not. Luckily for readers, the story is nowhere close to conventional -- not when you have a drug-fueled, scofflaw attorney pushing his client in a vain pursuit of the American Dream. When Dr. Gonzo departs at the end of the story, Duke says of his ribald sidekick, "There he goes. One of God's own prototypes. A high-powered mutant of some kind never even considered for mass production. Too weird to live, and too rare to die." Did you know that Vanna White, the longtime hostess on "Wheel of Fortune," doesn't even have to turn letters anymore? These days she simply touches the letter -- no turning, just touching. Has she developed carpal tunnel syndrome? At this rate she's gonna be sitting beside the puzzle in a wheelchair when she's 90 and just pointing wildly for the next letter to light up -- long after host Pat Sajak retires. God bless ya, Vanna, you got it beat. Under normal circumstances, it would be inappropriate to say a Hall of Fame wide receiver with the single-season receptions record (143 in 2002) was the sidekick to anyone. But personality has a lot to do with how people get slotted in a relationship, and Harrison's quiet, efficient and restrained persona -- particularly from a wide receiver in the era of Terrell Owens, Randy Moss and Chad Ochocinco -- assured his status as the No. 2 in Peyton Manning's high-powered Colts offense. Harrison has probably earned as much attention (and of the wrong kind) since his playing days ended than he did in Indianapolis. If Scottie Pippen had followed Michael Jordan to the Wizards and the duo had put together more high-scoring seasons, you'd roughly have the NBA equivalent of the Jari Kurri-Wayne Gretzky dynamic. Kurri played alongside The Great One for eight seasons in Edmonton, helping the Oilers win four Stanley Cups. He later joined Janet Jones' husband in Los Angeles, where the duo continued amassing some of the best statistics in NHL history. Kurri, a 2001 Hall of Fame inductee, finished his career as the highest-scoring European-born player in league history, and his 233 playoff points place him third all time behind Gretzky and another former Edmonton teammate, Mark Messier. Unlike Pippen, who never won a title without Jordan, Kurri (and Messier) led the Gretzky-less 1990 Oilers to the team's fifth Stanley Cup. On a side note: It was Gretzky, not Kurri, whose head was made to bleed by Steve Larmer in "Swingers." Why? Because Gretzky was undoubtedly the No. 1, and Kurri was his sidekick. 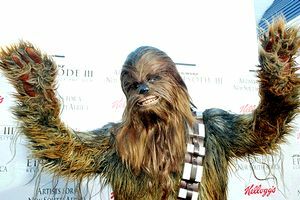 Frederick M. Brown/Getty Images Page 2 tips its cap to the greatness of Chewbacca. The consequence of being a No. 2 means you're often overlooked at awards time when your compadres are feted. Take Chewbacca, Han Solo's main fuzzball, who had to stand by at the end of the original "Star Wars" as Solo and Luke Skywalker were presented with medals by Princess Leia. Apparently George Lucas thought a Bowcaster-strapped Wookie was less heroic than a couple of pretty boys. Luckily, this wrong was eventually righted, as MTV gave Chewbacca a Lifetime Achievement Award (presented by Carrie Fisher, aka Princess Leia) at the 1997 MTV Movie Awards. When John Stockton, the NBA's all-time leader in assists and steals, retired in 2003, he bypassed the typical self-indulgent news conference and simply released a statement through the Utah Jazz, the only team he played for during his 19-year Hall of Fame career. Stockton was never about the spotlight or the sound bite. His game was predicated on dishing the rock and taking the open jump shot when the situation dictated. He averaged a double-double in points and assists over the course of his career and recorded five of the top six seasons for assists (Isiah Thomas has the other), with many of those dimes going to fellow Hall of Famer and Jazz alpha dog Karl Malone. A quintessential point guard can be the ultimate wingman, and Stockton was that to Malone throughout their careers, helping the Jazz reach two NBA Finals -- where, as it turns out, they were undone both times by a slightly better Batman and Robin. It's unfair in some ways, but the "straight man" is usually pegged as the sidekick, while the loud, rambunctious guy is usually classified as the lead dog. During their 22 seasons together as a broadcast team, John Madden got top billing over Summerall. A lot of that had to do with Madden's personality -- he was the one bursting through walls in beer commercials; he was the one with the wildly popular video game; he was the one with the Madden Cruiser and the All-Madden Team. Summerall kicked for the Giants in the 1958 NFL Championship Game, often called the Greatest Game Ever Played. What, you weren't familiar with that tidbit? Maybe it's because Summerall wasn't the type to constantly remind viewers about his times with Vince Lombardi and Frank Gifford and Tom Landry. When Marcus Allen made his famous cutback touchdown run against the Redskins in Super Bowl XVIII, Summerall's only words during the long, slowly developing play were these: "Touchdown, 75 yards!" He was a play-by-play announcer who actually trusted that the viewers weren't blind and didn't need an apostle of the obvious. The greatest comic strip of all time would be unrecognizable without Calvin's stuffed animal tiger, which magically comes to life when Calvin is alone and accompanies the boy as he deals with the trials, tribulations and exhilarations of being a child. The strip signed off in 1995 -- with Calvin and Hobbes standing in freshly fallen snow, and Calvin saying, "It's a magical world, Hobbes, ol' buddy. Let's go exploring!" as they fly down a hill on a sled. When the Lakers won three consecutive titles from 2000 to 2002, Shaquille O'Neal won the Finals MVP each time, aided by a lineup that included a future all-time great (Bryant) and a nice-but-unspectacular supporting cast (Robert Horry, Brian Shaw, Derek Fisher, Rick Fox, et al). It's been argued that Bryant deserved to win the Finals MVP in 2002, the same year he ascended to the All-NBA First Team for the first time. What's inarguable is that Shaq was the main engine on those teams, Bryant was a rising star, and there was a precipitous drop off in talent after those two -- Mark Madsen, notwithstanding. 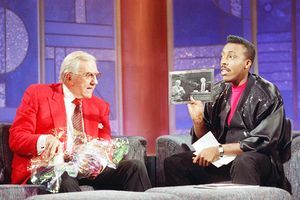 AP Photo/Kevork Djansezian Page 2 suspects that Ed McMahon went on to be Arsenio Hall's sidekick in an alternative universe. In 2006, Entertainment Weekly listed McMahon as the No. 1 sidekick ever, just ahead of Robin (of Batman and Robin) and George Costanza of "Seinfeld." To our thinking, Costanza is not a sidekick. He's part of the foursome of Jerry, George, Elaine and Kramer. But McMahon? Yeah, there was never a doubt that he was second banana to Johnny Carson during a long run on "The Tonight Show." But McMahon, for his part, did not have a No. 2 when he hosted "Star Search." No, he flat-out owned that joint. If this were a list about the best No. 2 beverages of all time, tonic water would win going away. After all, does anyone drink it all by itself? Ya know, besides those old British colonialists who swigged it (with much higher concentrations of quinine, mind you) as a protection against malaria? No, tonic water is always the second ingredient in a drink -- be it gin and tonic, vodka and tonic or orange juice and tonic. My dad called that last concoction a "spritzer," and as a child it made me feel like I was drinking along with the adults. This explains nothing about the way I turned out, so just leave it be. The greatest basketball player of all time, Michael Jordan, had played in only 10 playoff games combined in his first three seasons in the league when the Bulls acquired Scottie Pippen in a 1987 draft deal with the Seattle SuperSonics. In Pippen's first season alone, the Bulls played 10 playoff games -- and never played fewer than that in any one season during the rest of Jordan's time in Chicago, winning six titles. Horace Grant? Toni Kukoc? Dennis Rodman? All fine players in their own right. But the Bulls and Michael Jordan won titles before some of them arrived, and won others after some had departed. The same cannot be said of Scottie Pippen, who was there was for all six -- playing shutdown defense, filling the lane on the fast break, and filling the role of the greatest No. 2 in sports history. Jordan has been chosen to induct his former teammate into the Hall of Fame on Friday. Hopefully he won't use this opportunity to remind Pippen that the Bulls never won a title without Jordan. His Airness would never do something like that, though, now would he? When the Bengals signed Terrell Owens this offseason, the discussion immediately centered on whether he would play Batman to Chad Ochocinco's Robin or vice versa. For better or worse, these designations for the No. 1 and No. 2 in a working relationship are entrenched in the nomenclature; people immediately understand the meaning when you say, "I'm Batman and you're Robin." Hopefully Antonio Bryant, the other new Bengals receiver signed this offseason, understands perfectly well that he is now Alfred. Alydar, the only horse to finish second (to Affirmed) in all three Triple Crown races; the Netherlands, three-time World Cup runner-up; Robert Wagner and Rob Lowe, who both played No. 2 in the "Austin Powers" movies; Sideshow Bob of "The Simpsons"; Goose from "Top Gun"; Manny from "Scarface"; Danny Noonan from "Caddyshack."